Unlike the first mailbox in this series, whose artist will remain anonymous (for now, at least), this wild box is by Emily Mann of solaz.biz. 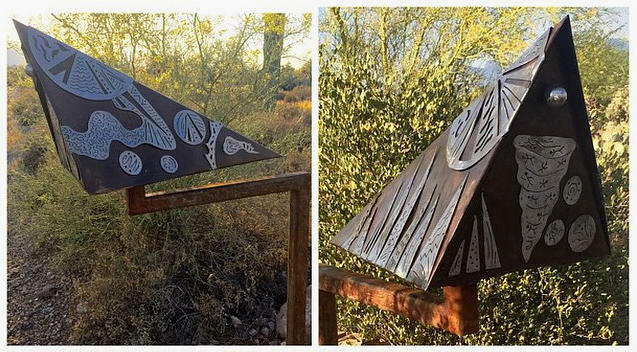 The owner would like the location kept private… but we can tell you that it's somewhere in the Tucson Mountains. The photos above came from Emily's Instagram feed — which shows a lot more of her creative metalwork.